Explore all new Miyuki Seed Beads right here! You'll find all new and noteworthy Bugles, Drop Fringe, Half Tila, Hex Cut, Magatama, Delica beads, and more in a rainbow of colors—perfect for all of your jewelry designs and projects. Be sure to check out all of our other Seed Beads for endless design possibilities. Use this unique strap finding in all kinds of ways to complete your jewelry designs. Use the long slot at the bottom of the finding to add a leather strap or a peyote stitch band. You could even attach multiple beaded strands with the help of jump rings. Then, use the smaller opening at the top of the finding to attach a clasp. This finding will give your designs a sleek and chic finishing touch. It also makes a great chandelier component in earrings. It features a dark silver shine. Use this unique D-shaped finding in all kinds of ways to complete your jewelry designs. Use the long slot at the bottom of the finding to add a leather strap or a peyote stitch band. You could even attach multiple beaded strands with the help of jump rings. Then, use the smaller opening at the top of the finding to attach a clasp. This finding will give your designs a sleek and chic finishing touch. It also makes a great chandelier component in earrings. It features a deep bronze color full of vintage appeal. Use this unique strap finding in all kinds of ways to complete your jewelry designs. Use the long slot at the bottom of the finding to add a leather strap or a peyote stitch band. You could even attach multiple beaded strands with the help of jump rings. Then, use the smaller opening at the top of the finding to attach a clasp. This finding will give your designs a sleek and chic finishing touch. It also makes a great chandelier component in earrings. It features a dark brass color full of vintage appeal. Complete your seed bead designs with this end tube. This tube works nicely with 11/0 cylinder seed beads, such as Miyuki Delicas, TOHO Treasures, and TOHO Aiko seed beads. Simply slide the last row of stitching on your piece into the tube and use flat nose pliers to crimp both ends of the tube down to secure it in place. This tube is most compatible with seed bead stitches featuring straight edges, like the brick stitch or loom. It can also work with the uneven edges of peyote stitch designs, however. Use the attached loops to add a clasp or more strands of beads. This end tube can fit 34-46 11/0 cylinder seed beads, depending on the bead and the stitch. These items are sold individually, but usually used in pairs. Make sure to buy at least two. Complete your seed bead designs with this end tube. This tube works nicely with 11/0 cylinder seed beads, such as Miyuki Delicas, TOHO Treasures, and TOHO Aiko seed beads. Simply slide the last row of stitching on your piece into the tube and use flat nose pliers to crimp both ends of the tube down to secure it in place. This tube is most compatible with seed bead stitches featuring straight edges, like the brick stitch or loom. It can also work with the uneven edges of peyote stitch designs, however. Use the attached loop to add a clasp or more strands of beads. This end tube can fit 20-26 11/0 cylinder seed beads, depending on the bead and the stitch. These items are sold individually, but usually used in pairs. Make sure to buy at least two. Use this unique strap finding in all kinds of ways to complete your jewelry designs. Use the long slot at the bottom of the finding to add a leather strap or a peyote stitch band. You could even attach multiple beaded strands with the help of jump rings. Then, use the smaller opening at the top of the finding to attach a clasp. This finding will give your designs a sleek and chic finishing touch. It also makes a great chandelier component in earrings. It features a brilliant silver shine. Use this unique D-shaped finding in all kinds of ways to complete your jewelry designs. Use the long slot at the bottom of the finding to add a leather strap or a peyote stitch band. You could even attach multiple beaded strands with the help of jump rings. Then, use the smaller opening at the top of the finding to attach a clasp. This finding will give your designs a sleek and chic finishing touch. It also makes a great chandelier component in earrings. 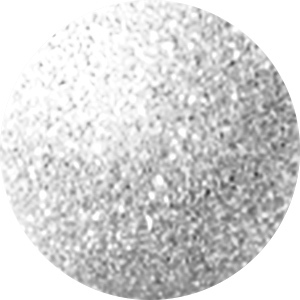 It features a matte silver color full of versatility. Use this unique D-shaped finding in all kinds of ways to complete your jewelry designs. Use the long slot at the bottom of the finding to add a leather strap or a peyote stitch band. You could even attach multiple beaded strands with the help of jump rings. Then, use the smaller opening at the top of the finding to attach a clasp. This finding will give your designs a sleek and chic finishing touch. It also makes a great chandelier component in earrings. It features a dark silver color. Use this unique D-shaped finding in all kinds of ways to complete your jewelry designs. Use the long slot at the bottom of the finding to add a leather strap or a peyote stitch band. You could even attach multiple beaded strands with the help of jump rings. Then, use the smaller opening at the top of the finding to attach a clasp. This finding will give your designs a sleek and chic finishing touch. It also makes a great chandelier component in earrings. It features a matte gold color. This end tube can fit 12-16 11/0 cylinder seed beads, depending on the bead and the stitch. These items are sold individually, but usually used in pairs. Make sure to buy at least two. This end tube can fit 9-12 11/0 cylinder seed beads, depending on the bead and the stitch. These items are sold individually, but usually used in pairs. Make sure to buy at least two.